One of the great ambassadors of German Wine is the erudite and passionate Dirk Richter of Weingut Max Ferd Richter. I was very lucky to be able to meet him often in the early years of my wine career and talk German Wine in one of my video interviews. We discuss the meaning of wine, recent vintages, the role of Riesling at the dinner table, and the positive effects of global warming. 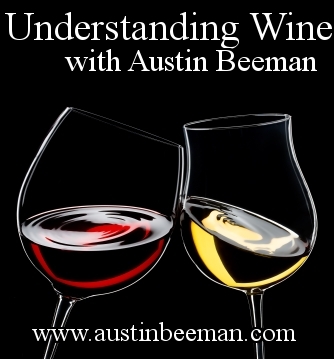 Parts of this video appeared as an early episode of Understanding Wine with Austin Beeman, but it is collected here for the first time in its entirety. Dirk Richter: "That is good question, what does wine mean to me? Wine is ... let's put it that way, wine accompanies human civilization since there is human civilization. Wine is cultural heritage. Wine is gift from God. Wine is legacy. Wine is totally different from any other drink. When you invite guests to you home and they enjoy the wine, then you are proud to have chosen the right bottle. If they don't enjoy the wine, then you will tell your wife, "I knew that this wine is far too good for these people." That is a kind of reaction you would never have with any liquor or beer whatsoever. That is a personal emotion. Wine is emotion. That's the reason why we all like to drink wine, to experience wine, because we learn and we know exactly that wine has a total different identity in history. To me, it's very important, I like history. I think, we all should know where our roots are, we should know where we come from. So is with wine. When I go back in history and when I open the Bible, and the gospel, there from the first to the last page it's wine talk. The first thing Noah did, after the great flood, he planted a vineyard. Why did he plant a vineyard? He could have made a dairy farm or something. No, he planted a vineyard. It is important. It interacts our doing here with a blessing from Lord, himself. I think that's very important. Another example, in the gospel, when Jesus went public, so the first miracle that is reported from Jesus Christ was not the healing of the wounded or people that had physical or mental problems, no, it was the wedding of Cana, in the Gospel of St. John. Why is that reported as the first miracle? My explanation is because that story attracted attention to the public, to the audience. Wow, someone was able to turn water into wine, let's listen what he has to tell. When we go to the old Egyptian cultures, for example, people were drinking red wine, but the Pharaoh was drinking white wine. That could be seen from the tomb of Tutankhamen, this young king who passed away at the age of nineteen years old, they found remnants of white wine in his tomb chamber. Or when we go to the old Sumer culture, in Iraq now-a-day, in Mesopotamia, wine. Wherever we go, wine. In the Black Sea cultures, the old country cultures, which is now Georgia there, wine. Everywhere is wine. I think that's so important. To me, wine is part of my family identity. Wine is the history of the landscape I come from. There is so much knowledge and wisdom involved, given from one generation to the next. I think it's really important to learn about wine, to learn more, as people who like to drink wine are always people who are really savvy and interested and go a step forward. Part Two: On Growing Riesling in Mosel, Germany. As most wines, gains its elegance by the long vegetation season and not a hot, short growing time. Subsequently, we have the model country, climatic wise, to grow these refined, versatile, and sometimes fragile white wines. Apart from that, we grapes on slate stone, Devonian slate stone. That is a stone that was created some 500 million years ago. It's not a grown rock but a sediment rock. It was created for millions of years the sediment has been pressed to ground. When the landscape was built, as we know it today, the shift of the continent, some of these layers were brought up, came to surface, and create the Slate Mountains. It is very easy for the blondes to penetrate the terroir, the soil, and take out nutrition. That is very mineral driven. We have coolish climate, we have got slate stone, the terroir, and that ends up with a low PH level in the wine and as we have got the long vegetation season. All Rieslings, and that is something really special with a Riesling from Germany, are driven by tartaric acid. The longer the grapes ripen on the vine, the more delicate and the higher the finesse in the acidity. Riesling is something that is seen from the backbone taste. My duty, as the wine grower, is to produce wines taste around that dry lingering finish. That is the secret of the Riesling production. Particularly in the United States, people like acid, subsequently Mosels are so much distributed in this country. The other reason why we are successful at producing Riesling in Germany is that a kind of German character is precision. If you want to make a top Riesling wine, you have to do it with precision. It's not the art other than other grape varieties, some other grape varieties, to make a blend. In white, a fine winemaker, with his special cellar recipes, take a little bit here, a little bit there, a little bit there, mix it and then you have a nice brand. No, it is precision. Show back the fruit on a given spot, picked at a certain time, back into the bottle. That is the Riesling story. 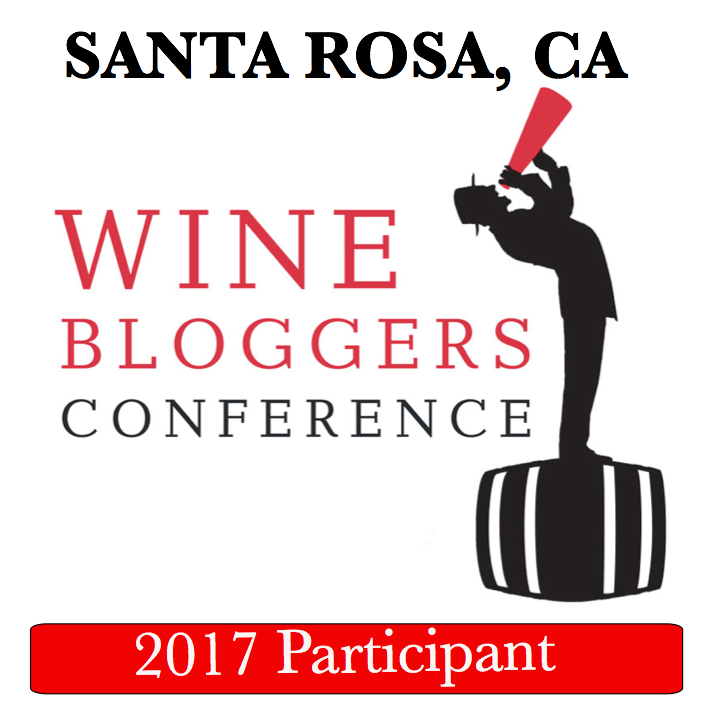 Part Three: But isn't Riesling Just Sweet and Cheap? Cheap Riesling can be simple and sweet, but there is cheap wine everywhere that has no higher match or criteria to fulfill. The great Riesling wines, of course they have got residual sweetness, but they also can be bone dry. Rieslings have an uncounted number of faces. They can go from bone dry to super sweet and everything in between, every step is possible. But what makes it so special is that the sugar that might be in that particular bottle shows on the tongue and on the palette in quite a different way. It tastes as if you were to bite in a fresh fruit, in an apple, pear, apricot, peach. When you eat that kind of fruit you never speak of sweetness of that fruit, you just speak how refreshing that fruit is, because it is balanced by acid. The same occurs to Riesling, we have, initially on the lips, on the tongue, we have some amount of sugar, that might be in a lower or in a higher percentage. But, it's always balanced against backbone acid. The wine never tastes sweet, the good Riesling wine, but fruity. That is terribly important. That is so important, particularly in the food process, as it helps to reanimate your taste buds, to cleanse or to rinse you mouth, it works like a sorbet and it helps with digest. Riesling is the ideal food wine. White wine ages, particularly when it has some residual versus acid. What makes the wine aging is not the amount of alcohol, it's the balance of sugar versus acidity. The Riesling has got, generally, most of the sugar, subsequently it can age much better, provided the acidity is not too low. But, good Riesling from the Mosel, from the Nahe, Rheingau, Pfalz, have got acidity, subsequently they age. There are the white wines that age Chinon Blanc, Bonnezaux in the Loire, Vouvray ages well. There is little bit similarity, they have got residual sweetness as well. It's always that balance that make the wine age. Once these wines start to age, they get more complex, you get much more texture, and slowly they start drying out. A 20 year old wine has no longer the sweetness the wine had when it was young, but it has a lot of richness and complexity and you don't miss that kind of sweetness. It tastes dry, but it tastes, still, very round and has kept it's freshness. That's really important. I can only encourage people to look for vintage bottles to show how well these Riesling wines age. The vintages you see mostly on the market right now is 2005, to start with the older one. That is a great vintage in any corner of the wine hemisphere on this globe, glorious vintage. 2006, a difficult vintage, very small in quantity but a lot of botrytis. The concentration of the '06 is enormous and when you look on the label and you read Kabinett or Spatlese, you can always be sure that this is heavily downgraded. Actually, you get much more wine for what's written on the label. It's a typical example of under exposed, over delivered. The '06 really has a rich, pungent, opulent, creamy character. It has great fruit and great acid and great density. You get oily flavors from the botrytis, you get very quince and rhubarb flavors on the more cleaner or more less botrytised grape wines. That, you find in the '06 vintage. The next, '07, is very elegant. It's a very elegant, lush elegant, has not the top end style that '05 has got, but in the QBAs a Kabinett and Spatlese, and even the Auslese is a classy vintage. Very elegant. A vintage to age perfectly. Now, '08, we are a little bit more crunchy and spicy and zesty than '07. '08 has got a higher acid and a little bit lower alcohol than '07, though if you are looking for light-style Kabinett in German wines and you didn't see it recently, go and find '08, you will have it. Now, '09, we are already a year further on. '09 is just starting ascending. We are tasting, and sampling, and preparing the first bottlings of '09. It's highly concentrated. It's relatively small quantity. It comes close to '05. I don't know whether it will be similar to '05 but it goes in the direction of '05. Whatever we see from German wines, on the shelf, be sure you will never run into an off vintage. Whatever vintage the importing agent, the distributor, the restaurateur, the retailer, or the customer picks he can be sure, or she can be sure, always to have a great, good vintage above average. That is so far, the positive effect of global warming as we can see in the Mosel, so far. But we haven't seen the end yet.